Fullname, date of birth: IbatovMaratKenesovich, July 21, 1961 yearofbirth. Work experience: the general experience is 35 years, the scientific and pedagogical experience is 30 years. What university, for what specialty and when he graduated from: Moscow Automobile and Road Institute (MADI), engineer in the specialty “Automobiles and automobile industry”, in 1983. From 1983 to 1987 – Senior Engineer, Junior Researcher, intern-researcher of the Karaganda Polytechnic Institute. From 1987 to 1990 – graduate student of the Moscow Automobile and Road Institute. From 1991 to 1997 – Assistant, Senior Lecturer, Associate Professor, Professor, Chairman of the trade union committee of teachers and staff of the Karaganda Polytechnic Institute. From 1997 to 2012 – Dean of the Faculty of Transport and Road, Vice-Rector for Academic Affairs, Head of Department, First Vice-Rector of Karaganda State Technical University. 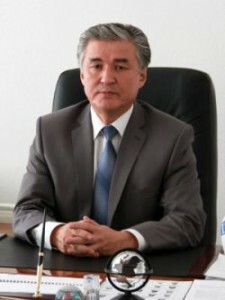 From 2012 to 2016 – Rector of Karaganda State Industrial University. From 2016 – to the present – rector of Karaganda State Technical University. Main publications: author of more than 200 scientific and methodological works.